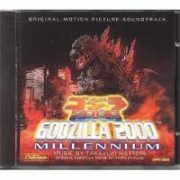 This is a mint, original shrinkwrap, never played music cd containing music from the original film soundtrack of ‘Godzilla 2000 Millennium’. The music is by Takayuki Hattori. 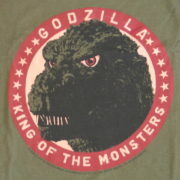 This is a military green t-shirt bearing the image of the head of Godzilla in a circle surrounded by stars and the words Godzilla King of the Monsters. 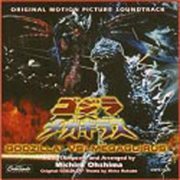 Released in 2002, this mint, original shrinkwrap, never played music cd contains music from the new original film ‘Godzilla vs Megaguirus’. 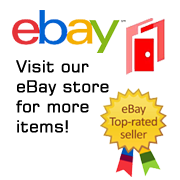 The music is by Michiru Ohshima.